Ta Aappilattoq (shenn-lettraghey: Augpilagtoq) ny valley beg faggys da [Nanortalik]] 'sy valjaght Kujalleq. Ta'n balley ny lhie mygeayrt 50 km veih Uummannarsuaq (Danvargish: Kap Farvel) ayns feer-yiass Ghreenlynn. Ta mygeayrt 160 cummaltee 'sy valley beg. "Greenland and the Arctic". Liorish Etain O'Carroll as Mark Elliott. Lonely Planet 2005. ISBN 1-74059-095-3. 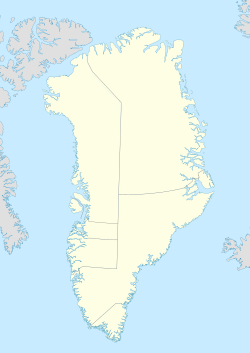 Kiaddaghyn sleitagh faggys da Aappilattoq. Cha row ny mulleeyn shoh, ta mygeayrt 2km er yrjid, coodaghit lesh rio. Ta boallaghyn carrickagh geyre jannoo çhiarnys er reayrt çheerey faggys da Aappilattoq.